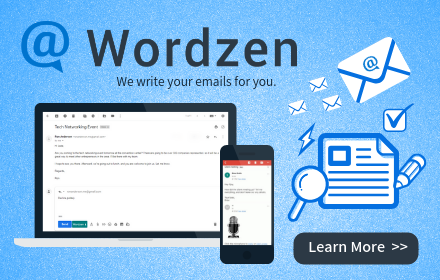 Have you tried Wordzen’s voice feature? It’s a miraculous addition to your inbox because it allows you to blast through your emails by speaking your replies rather than writing them. It’s not formal dictation, so you don’t have to verbalize a perfect response. All you do is click a button when you’re ready to answer an email and then speak into your computer’s microphone. 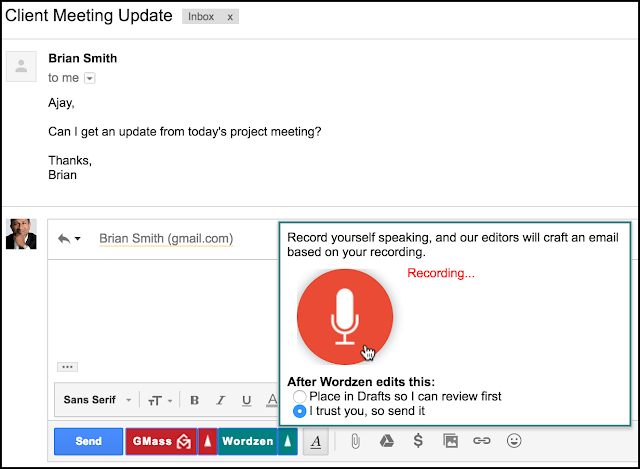 When you’re done, click the Wordzen button to send your recording to us. That’s it! One of our editors will listen to what you’ve said and write a professional email for you. 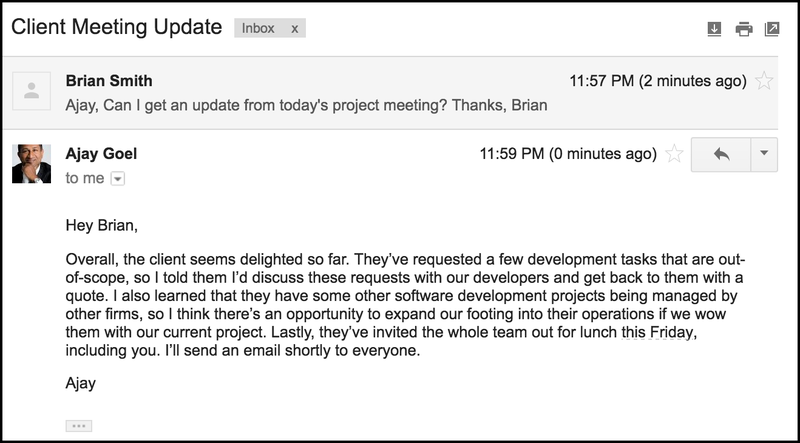 PRO TIP: Include the email to which you’re responding. Our editors use this to pick out the correct spelling of names and to find contextual clues that make the email we write for you even better. Here’s an example we recorded to show how this feature can work for you, and what the screen will look like when you do. At the bottom of your email message, click the green Wordzen button and choose the audio option. When you’re ready to record, click the big red microphone button and begin speaking. When you’re done, click the mic button again. Here’s a link to our demo recording. It took Ajay 40 seconds to reply, including stumbling over his words and umming quite a bit. Note how he spoke naturally, thinking about what to say next while speaking. Again, there’s no need for perfection – that’s what our editors are for – just focus on the information. If you would like to review your recording for any reason before sending it, simply click the green arrow next to the Wordzen button, and you will see the option to play the recording. Even a relatively brief email like this can represent significant time savings for you. Recording your speech is simple, stress-free, and efficient. It would have taken much longer than 40 seconds to produce this email on your own. PRO TIP: Become more time-efficient by grouping your email responses into one or two sessions during the day, and record your replies to several emails at the same time. Even if it takes one of our editors 30 minutes to complete all of your replies, it’s not your half-hour. Use that time more productively on higher priorities! Wow man, awesome thing ! It's for sure time saver. I ll try it soon. Keep going with the features! I never get tired of saying… You are the best thing out there!! Love y'all so much! !